Over the long Memorial Day weekend, we had a visit from a lot of our Oklahoma family. We had so much fun together. all the cousins hop aboard the fun merry-go-round. 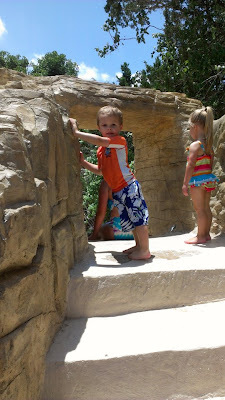 Luke liked holding hands with Linnea. and Kaylee..he always seems to find a girl's hand to hold. 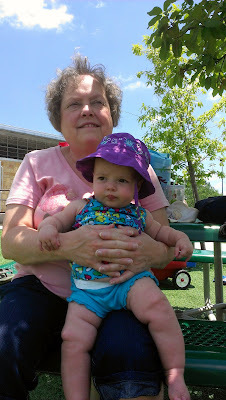 Grandma and I tried to keep Miss Abbey out of the sun. 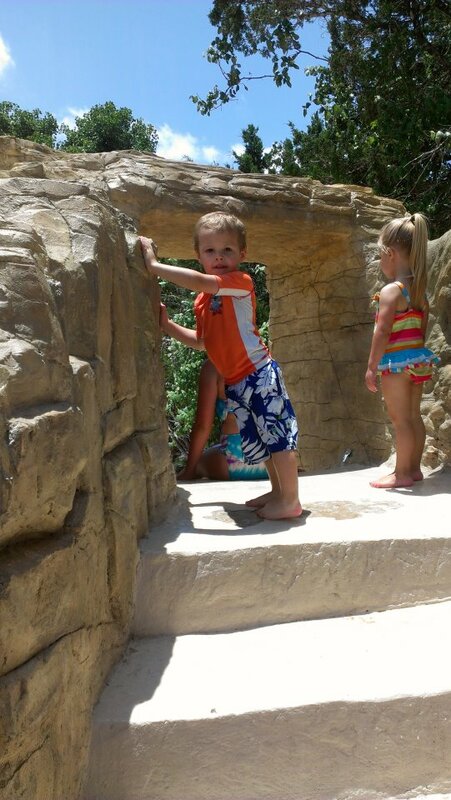 Waiting for a turn on the stone water slide. 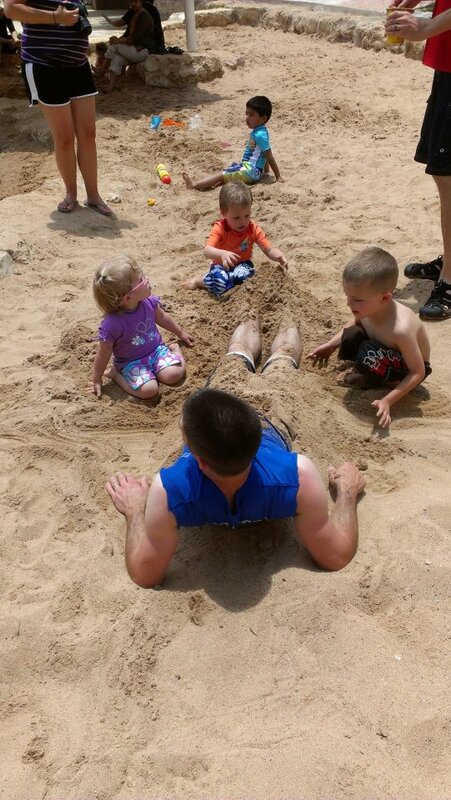 burying uncle Jason in the sand. We also ate at some fun places. But, the most fun I think the kids had all weekend was probably during our backyard water fight. We used water guns and balloons and the kids had a great time trying to get their uncles and dads soaked! Better watch out guys--Brody's gun is loaded and ready! Lilly is contemplating where her next balloon will be launched.